Contemporary cultural studies have marginalized agency and frustrated the power of people to shape social life. Cultural Theory After the Contemporary is a new materialist challenge to these tendencies. 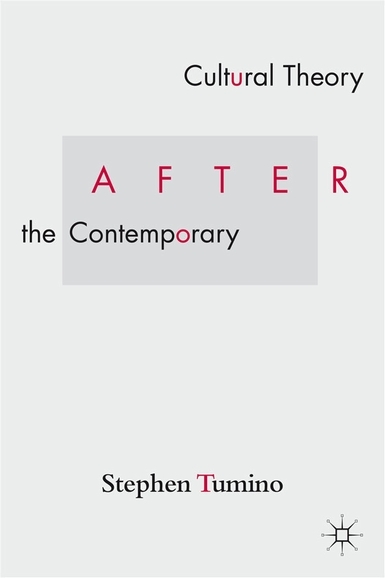 Stephen Tumino offers a new theory of agency in culture and demonstrates how humans can take command of events and make their own history. At a time when contemporary theory--from New Historicism to post-structuralism to "post-humanism"--has launched a new wave of attacks on agency and cultural studies, in spite of its formal proclamations, has become local and even nationalist, this book offers a timely and much-needed corrective. Cultural Theory After the Contemporary articulates an internationalist cultural theory that puts global agency in the forefront of contemporary cultural analysis and goes beyond the prevailing ironic critique that conceals the cynicism in recent writings on culture.